100% of all contributions (less bank charges) to Project Moroto go to the project. There is no allowance for NZ salaries or travel costs. Donations to Project Moroto are tax deductible. We are listed at Charities Commission under No - CC55473. Project Moroto has been adopted by a New Zealand Government registered charity, Building for Education - and therefore all donations to Project Moroto are tax deductible for New Zealand tax payers. Have a look at their site. Project Moroto has access to the charity experience, knowledge and support of Building for Education. AND there are beautiful girl orphans in Moroto who haven't had the opportunities we have had in the first world for food, shelter and education. We should share our good fortune. What if situations were reversed and you were an orphan with nothing - would you appreciate some help? How to support Project Moroto? Or you can give direct into our ASB Bank Account 12-3049 0124008 01. Please email us with your name and address if you wish to receive a tax receipt. These are issued in April every year. 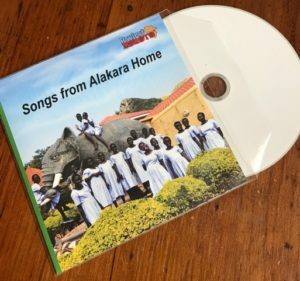 To everyone who starts an Automatic Payment into our account we would love to send you a complimentary DVD of the girls singing their favourite songs in and around Alakara Home. Just email us and let us know your address and it will be winging its way to you. You will love seeing the spirit and joy of the Alakara girls! If you are giving from overseas you can use the same account and use our SWIFT code ASBBNZ2A. Thank you for any contribution you can make. If you would like to volunteer time and skills either in New Zealand or in Uganda please contact us.